At San Francisco Party Bus we are the start of a great time! We are the High Standard of Excellence in California for your party bus needs! 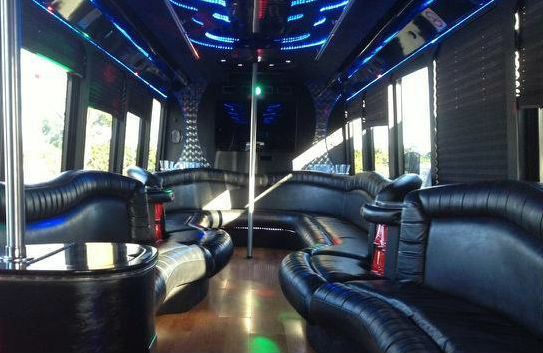 Our party buses in San Francisco are well known to have guests riding and having a happening and safe party time! Trust our experience and jolly drivers to tote your happy guests to and fro in our SF party bus. There is no need to worry about San Francisco traffic or unforeseen weather. Our party bus SF will keep you safe and relaxed! San Francisco Party Bus is a locally owned business serving the Bay Area for years. We are enthusiastic and passionate about providing you with the best party bus around! As the most professional and respected party bus company in San Francisco, we are proud to offer you an eclectic selection of diverse luxurious party buses, the best chauffeurs and white glove service in the industry! Allow our party buses to show you a good time. Here's why we are the best party bus company in San Francisco. 1. Large Fleet of Vehicles. We know what it take to be the best and we offer our customers the best party bus selections around! You are royalty to us and you deserve the best. 2. Professional Chauffeurs. Our specially selected drivers are trained as professional chauffeurs to maximize your customer experience. We impress our clients on a daily basis with our punctual, attentive and professional service. 3. Flexibility. Rent a San Francisco Party Bus and see what the rave is all about. We arrive early and can change on the drop of a reasonable dime to accommodate your most easy to your most complicated requests!